One of baseball's best rotations and the presence of young shortstop Francisco Lindor make the Indians a strong challenger to the Royals' AL Central throne. This week, SI.com is previewing all 30 MLB teams for the 2016 season, counting down to the No. 1 team in the league. At No. 14: the Cleveland Indians. The Indians have amassed a core of quality players under 30 years old, both in their lineup and pitching staff, and while injuries and slow starts have derailed them in recent years, the AL Central race appears to be wide open. Both the FanGraphs and Baseball Prospectus projection systems pick Cleveland to win the division, with the latter forecasting them for the best record in the entire AL at 93–69. The projection systems were notoriously wrong when it came to the AL Central last season, severely underestimating the Royals. Some other folks—we can't remember who—were just as far off base when it came to picking the Indians to win it all. The lineup already has some issues. 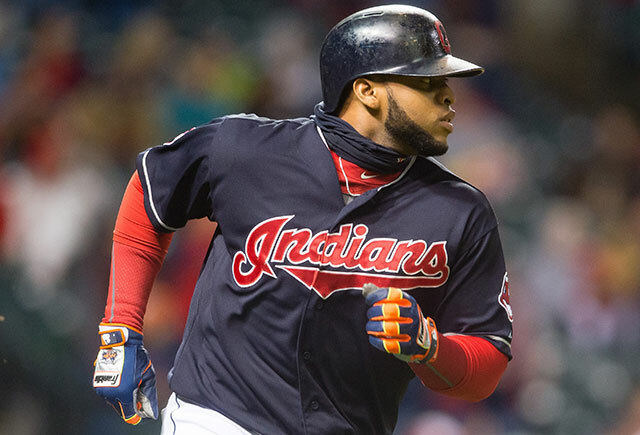 Abraham Almonte, who provided a significant upgrade in centerfield over the final two months in place of the traded Michael Bourn, will miss the first 80 games of the season due to a PED suspension. Michael Brantley, the offense's top full-time player last year with a 130 OPS+, tore his right labrum last September and underwent surgery in November; his Opening Day availability is in question, though his progress has quelled fears that he might not return until May. If Brantley starts the year on the disabled list, the likely season-opening outfield of Will Venable, Rajai Davis and Lonnie Chisenhall—with Collin Cowgill and Joey Butler also in the picture—includes just two players who managed a 100 OPS+ last year (Davis and Butler), both in limited duty. As for the infield, Napoli and Uribe are both in their mid-30s and coming off seasons that fell short of their 2014 performances. Lindor, who hit .313/.353/.482 and finished with 4.6 Wins Above Replacement in 99 games—that prorates to 7.5 for a 162-game season, lest your calculator be out of reach—bunts too often for manager Terry Francona’s tastes, having led the league with 13 despite not debuting until June 14. Santana once ranked among the game's most promising young players—a convert to catcher whom the Indians stole from the Dodgers, then watched blossom into a lineup staple who averaged 22 homers and 4.0 WAR from 2011 to '13, his age 25–27 seasons. Once it was clear he'd reached his ceiling as a catcher, the team's decision to move him back to the infield did not go smoothly. He struggled to hit during the first two months of 2014 while splitting time between third base and catching, and while he rebounded to finish with 27 homers and a 122 OPS+, his defense at both third and first base—previously his haven when he wasn't catching—suffered, and his value dipped to 3.0 WAR. Serving as the team's primary first baseman in 2015, he declined to .231/.357/.395 with 19 homers and career worsts in OPS+ (104) and WAR (1.1). Now that he's slated to serve as the team's regular DH, Santana's level of production isn't really an asset, yet his numbers in the field (-8 DRS at first base in 215 games over the past two seasons) don't support the idea that he should be spending much time with the leather, particularly as he was part of that record-setting pace for the lowest defensive efficiency in the past century. Underlying his offensive slide is a pull-happy approach from the left side that has been increasingly counteracted by defensive shifts, depressing his batting average on balls in play into the .230-ish range over the past two seasons; his .255 BABIP overall in that span is the majors' sixth-lowest among players with at least 800 plate appearances. Given their other offensive question marks, the Indians could certainly use a return to form here. That's the rate at which Indians pitchers struck out opposing hitters last year, breaking the all-time AL record set just the year before by the Rays (23.44%, barely edging the Indians' own 23.41%). With strikeout rates continually on the rise, that's in part a sign of the times, but the extent to which the organization has turned things around over the past half-decade is impressive nonetheless. From 2009 to '12, the Indians' pitching staff ranked among the league's bottom three in strikeout rate every year and among the bottom four in run prevention each time; they finished below .500 in all four seasons, losing at least 93 games three times. Since then, trades for high-strikeout hurlers Kluber, Carrasco and Bauer have come to fruition alongside the successful development of the homegrown Salazar and closer Cody Allen, with others such as Ubaldo Jimenez and Scott Kazmir coming and going as well. The team has placed ether second (2013 and '14) or first in the league in strikeout rate and their run prevention has climbed into the league's upper half. As a result, they've finished above .500 three years in a row for the first time since 1999–2001. Last year, Carrasco ranked second in the league among qualified starters in strikeout rate at 29.6%, with Kluber fourth at 27.7, Salazar sixth at 25.8 and Bauer ninth at 22.7. Of course, there's more to run prevention than just missing bats, but the first three of those hurlers were at least 18% better than league average in ERA. "Cody Allen’s got really good stuff. Nobody really knows about him. He throws hard, he’s got a quick, hard breaking ball. He’s a real closer​."